MYC has the expertise and experience with getting Google Unnatural Links Warning penalties removed from websites that may have had bad back links pointing back to them. Perhaps you hired an offshore SEO company promising first page Google rankings, maybe you had an in-house marketing person that posted links on blogs that were absolutely irrelevant to your business vertical. For what ever reason your website disappeared overnight – we can help you reclaim your website. Our unnatural links recover service is confidential and we sign full NDA agreements with clients of necessary. 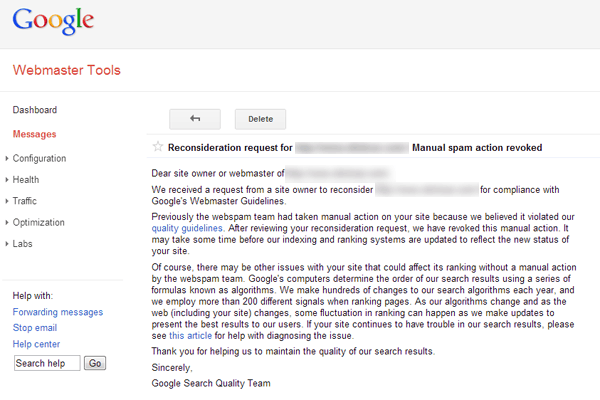 In almost all cases we have been successful with Google manual penalty recovery even when other SEO companies have failed. MYC’s focus with our Google penalty recovery service is to get your penalty removed, as well as retain the largest amount of good links as possible so that you can regain your sites organic rankings status. While we work on recovering your site from penalties, we can help you gain high rankings for your brand or particular services via Google Adwords PPC Management many times it is very affordable to run a simple branding campaign for your company name while we work to rescue your site from unnatural links penalties. How will using our unnatural links removal service to remove and/or disavow your bad links help me recover from Google Penguin? 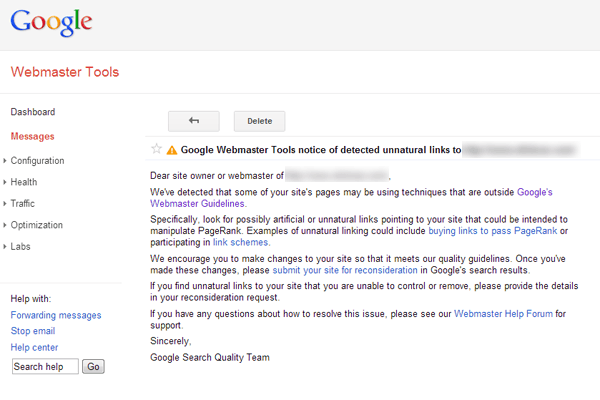 Google Penguin as well as others is an algorithm update that specifically targets unnatural inbound links to your website. (IE Alaskan Halibut Fishing web site that links back to a Boca Raton Tanning Salon) If the algorithm detects too many bad or unnatural links, your website’s organic search rankings will suffer. MYC can remove the algorithmic penalty by identifying and removing and/or disavowing enough of these unnatural links using research methods and removal tools with our unnatural links removal service. There can be many reasons your website may have dropped in rankings. In fact, your website’s drop in rankings on the same day as the last Penguin update might just be a coincidence. Yes, it’s possible. Your website might not be all that good with its basic SEO and it has been far too artificially inflated. That’s OK. We can make it better, but disavowing a bunch of questionable back links is not going to turn it around in a heartbeat. We work smart and we work hard. We disavow the links we know to be spam and that you’ve already tried to remove. Then we re-evaluate and test your site, then we focus on content and structural improvements if deemed necessary.